How to Get Rid of Acne Around Mouth? Acne around mouth can easily produce importunate pimples. Mostly women are the ones who tend to experience acne flare-ups, i.e. hormonal acne around chin, mouth and jaw line prior to menstrual ties, pregnancy, and menopause. It is also common to witness the faces of men breaking out around the mouth area. 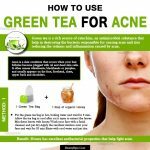 How to Prevent Acne Around Mouth? Lip Balm: The wax and fragrances in lip balms can easily clog the pores as well as irritate hair follicles which will lead to the rise of excessive sebum generation. 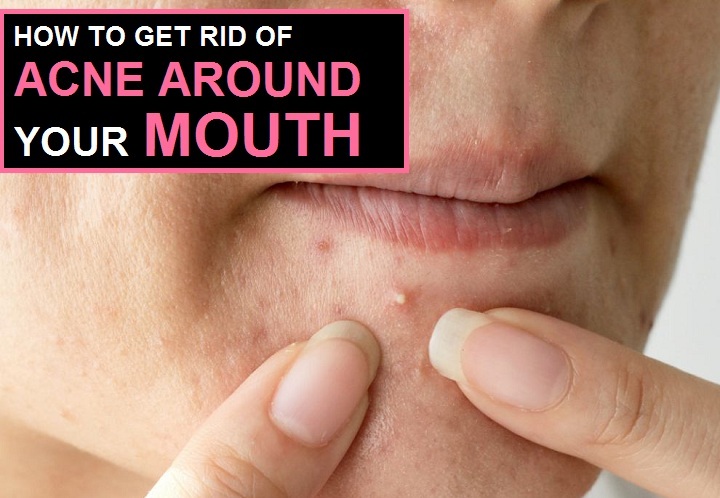 This will then lead to the formation of acne around mouth. Cell Phone: The tech accessories and cell phones can gather and accumulate dirt, bacteria, sweat and oil from face as well as hands, thus act as a trigger for the acne bums whenever they come in contact with mouth area. Toothpaste: In toothpastes, sodium lauryl sulphate is utilized as the foaming agent that can just like lip balms clog the pores of skin which results in the breakout of pimples around your mouth, in fact in every other corner of contact. Stress: Though stress cannot be the reason behind the new breakouts of pimples around mouth or anywhere else but it can be an agent that can worsen the situations of existing acnes. Waxing and Threading: Either waxing or threading can irritate the hair follicles and structure suitable circumstances for bacterial action that will lead to inflammation and ultimately create acne spots. Hormonal Fluctuations: At any stage of growing, whether during the terms of teenage or menopause, or any medical condition can be the reason behind testosterone fluctuations, i.e. male hormone, and it can be the main culprit behind mouth area breakouts. A clean napkin or towel. Place an ice cube in a towel or in the napkin and press it gently against the acne for a few minutes. 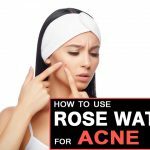 Dip the napkin or towel in hot water, squeeze the water and place it on the acne. How many times should you do it? Repetitions: Repeat the tasks for a few times per day. Caution: Do not apply ice directly on the acne, Keep a cloth between the acne and ice cube. 1 or 2 drops of eucalyptus oil or basil or neem oil. The choice part is optional. How many times should you do it: Repeat the action every night before sleeping and this remedy can also be repeated during daytime. Let lemon juice dry naturally and it is not necessary to wash it off. However, if you have sensitive skin then you can dilute the juice with water prior to use. 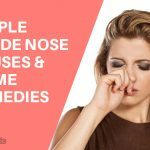 How many times should you do it: You can reapply this remedy 2 to 3 times per day. Caution: It is essential to squeeze the lemon right before its use because the bottled lemon juices might include preservatives and employing the use of bottled ones will cause more harm than good. How Many Times Should you Do it: Apply the paste twice per day. Apply some honey on acne and leave it for some time. How many times should you do it: Twice or thrice a day. 1. Stop Applying Lip Balm or Gloss: Set aside your lip balm or gloss from your makeup table for a couple of days but if you cannot stop its use completely then employ the use of a non-fragrant product. 2. Wipe your Mouth After Drinking and Eating: Food residue or crumbs left around mouth area feeds the growth of bacteria, so wash or wipe your mouth thoroughly to avoid giving it a chance to destroy your face. 3. Use a Fragrance and Flavor Free Toothpaste: Ask your dentist to recommend a brand of toothpaste that will prevent any bad effect in and around your mouth. 4. Drink Water: Drinking a lot of water will flush out your system and help in cleansing the skin from inside. 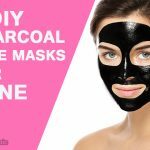 This will reduce acne generation overall. 5. Visit a Doctor: Consulting a professional regarding the issues of mouth acne will be the best decision that will work in favor of your health and appearance. Putting a stop to the usage of chemically infused products and adopting a healthy lifestyle will help you get rid of the nightmare of mouth acne for good. 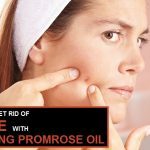 Acne around mouth is nothing to be embarrassed about because it is temporary and it can be prevented and cured by the simple tips and remedies given above! 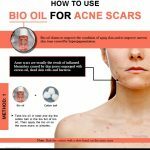 How to Use Bio oil to Remove Acne Scars Quickly?